Beautiful long dress style 19137 is the perfect choice for your upcoming special occasion. 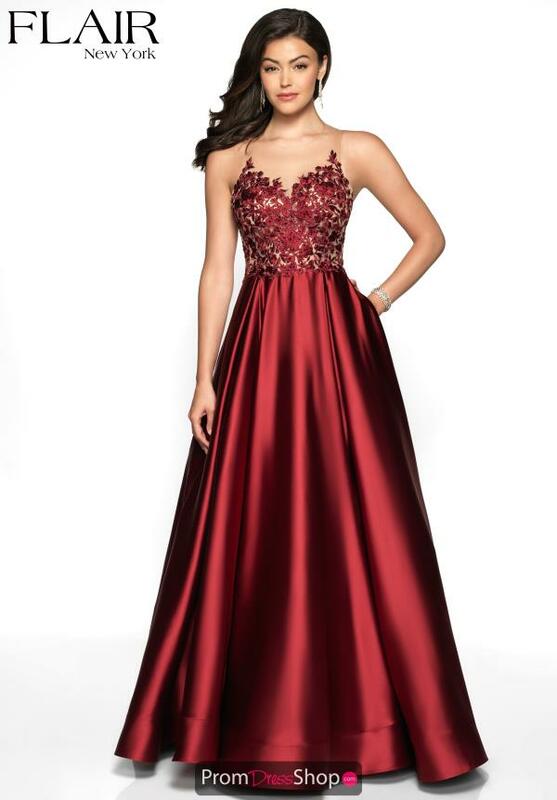 Showcasing a high top illusion neckline and fitted bodice, with lace applique throughout the entire bodice. Flowing into a satin made a-line silhouette skirt that has chic hidden pockets, this dress is sure to make a lasting statement at any occasion.